The RCSB PDB offers a wide variety of resources for learning about HIV. 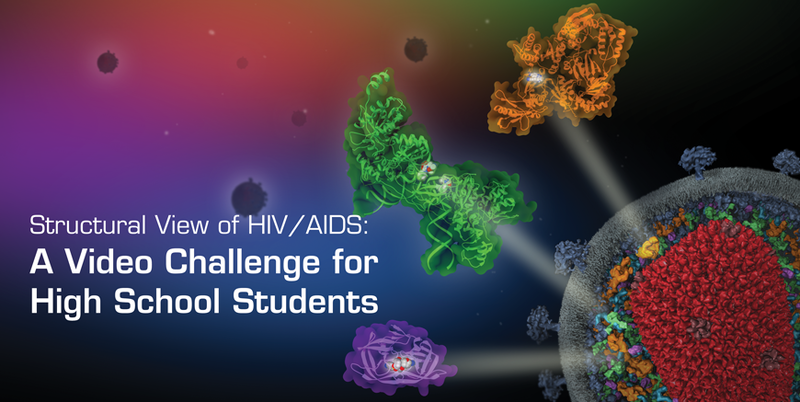 The RCSB PDB invites high school students to create short videos (two minutes or less) that tell a story about HIV/AIDS in a new competition. 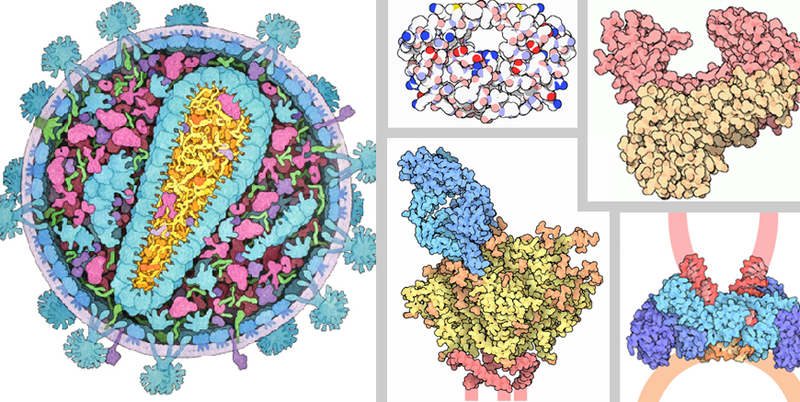 Videos must include a visualization/animation of two or more molecular structures from the PDB and may be focused on any topic related to the structural biology of HIV/AIDS. Submitted videos will be reviewed by an expert panel and considered for three awards: Judge's Choice, Viewer's Choice, and Service to the Community. New online video tutorials are available to help students interested in creating molecular animations for their videos. Tutorial 1 demonstrates Protein Visualization with UCSF Chimera, Video Editing with Blender, and Sound Editing in Audacity. Tutorial 2 describes Finding and visualizing HIV-related protein-drug complexes. Other resources, including a paper model of the HIV capsid and related Molecule of the Month columns, are available from PDB-101 for use in any video. Visit PDB-101 for an overview, rules, related resources, and more. Sign up for the Video Sign up for the Video Challenge Newsletter for regular updates and suggestions. The deadline to submit a video is May 31, 2014. A PDF flyer describing this challenge is available for download and distribution.